Giving back is the golden thread that weaves our community together and connects each of us to the causes we care about and to each other. We demonstrate a deep generosity and a thriving creativity that makes giving back a celebration of the good work happening all around us. Together, we care deeply about many causes… our children and families, our education and health, the richness of our arts, history, and culture, and the beauty of our farmlands and wild spaces. We come together to support the many different causes that make this community stronger. In this season, take the opportunity to support those causes that are meaningful to you. Because giving back is personal, it’s passionate, it’s deliberate. We hope you enjoy learning a bit more about some of the wonderful nonprofits doing great work to make our community shine. Please read, click, and give! HCLV believes in a community that embraces economic opportunity for all and sees its cultural diversity as a foundation for building a stronger society and a more vibrant economy. They also believe at the heart of change is the individual’s desire and willingness to pursue a path toward their own independence and self-sufficiency. 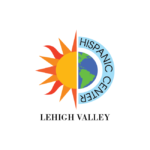 To improve the quality of life of Hispanic and other families by empowering them to become more self-sufficient, while promoting an intercultural understanding in the Lehigh Valley. Community Empowerment Program: providing resources to stabilize individuals and families in crisis, enable educational success, and promote financial independence. The Basilio Huertas Senior Center: providing older adults over 60 years of age with personalized case management services and the opportunity to engage in educational and social activities that promote their health and well-being. Food Pantry: providing participants with 3 days’ worth of groceries as a supplement for those who are unable to secure sufficient amounts of food. Women, Infants, and Children (WIC) Program: providing nutritional and supplemental dietary services to women, infants, and children from conception to age five. To donate to any of HCLV’s programs, visit hclv.org and click “Donations” or call the office at 610.868-7800. HCLV’s doors are always open to anyone in the community looking to get involved. There are plenty of ways to volunteer with the Center, from visiting with seniors to assisting in the Food Pantry. Visit hclv.org and click “Volunteer” or call for more information. Historic Bethlehem Museums & Sites interprets three centuries of the history and culture of Bethlehem from its founding as a Moravian community in 1741 to the 21st century. By vividly telling the stories of Bethlehem’s people through well-maintained buildings and sites, rare collections, and electrifying educational programs, they show the zeal and commitment of Bethlehem’s community in forging our American nation. To bring history to life by educating the public about Bethlehem’s rich heritage by preserving historic sites and by collecting, preserving, and exhibiting historical and artistic objects that can be used to tell the stories of Bethlehem’s people. 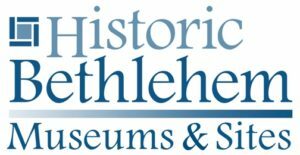 Historic Bethlehem Museums & Sites serves the local and greater Lehigh Valley, as well as a global community of people dedicated to preserving the history and culture across the globe. Historic Bethlehem Museums & Sites proudly preserves and maintains 20 historic sites, seven gardens, five ruins, one orchard, and 60,000+ artifacts. Our organization engenders a sense of place by working tirelessly to restore, educate, and share all they can about these beautiful buildings and their storied pasts. There are many ways you can give to and help the mission of HBMS: Donations, Memberships, Planned Giving, or Donating A Gift-In-Kind. Monetary donations can be made at historicbethlehem.org/support/donate/or by mail. Have a passion for history? Want to give back to your community? HBMS has a wide variety of opportunities that can fit many skills and interests while helping us fulfill our mission of preserving history and bringing it to life! You can view these opportunities and apply online at historicbethlehem.org/about/volunteer-2 or stop in at the Historic Bethlehem Visitor Center at 505 Main Street for more information. “I’ve been a volunteer at the Historic Bethlehem Visitor Center for nine years. Not only have I felt that I was doing my small part to support preserving Bethlehem’s rich history, but, I’ve also enjoyed the opportunity to work with a lot of wonderful, dedicated people and to meet, talk to, and personally welcome many visitors to our city. All in all, a lot of fun and very rewarding.” – Jack K.
The Foundation for the Bethlehem Area School District was established in 1999 to strengthen, enhance, and enrich the educational experiences of the students of the Bethlehem Area School District. The Foundation provides resources for projects and programs that enhance the learning opportunities for all students of the Bethlehem Area School District, with a primary focus on helping educators deliver innovative teaching and dynamic learning environments for students inside and outside the classroom. Your contribution directly impacts students and teachers in the Bethlehem Area School District. Donations can be mailed to the Foundation, or for more information, contact Julie Bailey at thefoundation@basdschools.org. Celebrating their 50th anniversary, ProJeCt of Easton prepares people to succeed in work, school, and life by providing support and instruction in the skills needed to break the cycle of poverty and achieve their goals. ProJeCt believes that education is key to helping people help themselves, and they invest in research-based, rigorously-evaluated school and workforce preparation services that teach clients the skills needed to increase their upward economic mobility. These services include Adult Education, Family Literacy, School-Based Programming, and Emergency Support. To build a better community by helping people help themselves. Over 5,000 adults, children, and seniors each year are impacted through ProJeCt’s programs and services. They proudly offer all programs free of charge to low-income, at-risk Lehigh Valley residents. 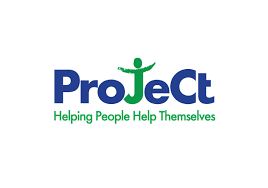 ProJeCt offers a variety of options to support their work, including giving online, Pennsylvania Educational Improvement Tax Credit Program (EITC), stock gifts, monthly giving, planned giving, and non-monetary support. For more information, please visit projecteaston.org/donate. ProJeCt was awarded a 4-star rating from Charity Navigator for demonstrating strong financial health and commitment to accountability and transparency. With the help of volunteers like you, ProJeCt prepares individuals to succeed in work, school, and life. The donation of your time, talents, and energy helps them reach thousands of greater Lehigh Valley residents each year! To get started, visit projecteaston.org/volunteer, email communityrelations@projecteaston.org, or call 610.258.4361. Zoellner Arts Center at Lehigh University opened in 1997 as the home to the Lehigh University Music Department, the Department of Theatre, the Art Galleries, and the Guest Artist Series. The building houses three theatres: the 1,000-seat proscenium Baker Hall, the 300-seat Diamond Theater, a 125-seat black box theatre, as well as a two-story art gallery, state-of-the-art recording studio, and several large classrooms. In each season/academic year, the Center holds close to 200 events, providing service to over 55,000 people annually. In its 21 years, Zoellner has served over 100 schools and community groups, and more than 70,000 children in the surrounding counties. Their distinguished Guest Artist Series has presented a wide array of multi-disciplinary, multi-cultural performers, including the New York Philharmonic, the Boston Pops, Itzhak Perlman, Yo-Yo Ma, Chick Corea, Bobby McFerrin, Lily Tomlin, Tony Bennett, Ani DiFranco, Momix, and David Parsons Dance. Your donation makes an impact–just $100 can subsidize 25 tickets for school children. Visit zoellner.cas2.lehigh.edu and click “Giving” for more information or to give online. Volunteers are vital to Zoellner’s programs (in fact, they dedicate over 7,000 hours a year each season)! Would you like to be an event usher, marketing assistant, outreach assistant, or gallery attendant? To usher: contact the house manager at 610-758-5453 or ros204@lehigh.edu. To volunteer as a marketing assistant: contact the marketing department at 610-758-3414 or zcs2@lehigh.edu. To volunteer as an outreach assistant or curriculum advisor: contact the program and outreach department at 610-758-5643 or pak512@lehigh.edu. Now in their 33rd Season of bringing the highest quality, most comprehensive, professional performing arts instruction to young people in the Lehigh Valley, PYT is leading the charge in providing a warm and safe environment for students to explore, train, create, and express themselves through drama, dance and voice. To educate, entertain, and enrich the lives of young people and their families through the art of theatre. PYT challenges children to develop their talents, to think creatively, and to acquire an appreciation and understanding of the arts. 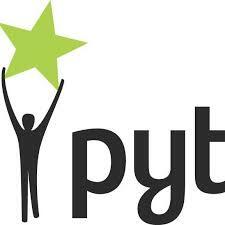 PYT depends greatly on the support of donors to maintain affordable programs for their families, schools, and the community in which they serve. To donate, call 610.332.1417 or visit 123pyt.org/support-us/. By volunteering with PYT, you will have the opportunity to attend the theatre, experience behind the scenes, and make an impact on the lives of the young people. To join the PYT Volunteer crew, visit 123pyt.org/support-us/volunteer-with-pyt/, call 610.332.1417, or email production@123pyt.org. 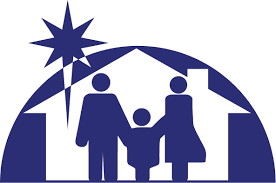 New Bethany Ministries provides basic services such as food support, hygiene support, wellness programming, transitional housing, permanent affordable housing, and financial case management to individuals and families who are working toward self-sufficiency. Home to many in the Valley, New Bethany maintains a safe, warm, respectful, and compassionate organization, serving as a community family for those who may feel invisible. To provide opportunities for a secure future to the hungry, homeless, poor, and mentally ill of the Lehigh Valley. With dwindling government resources and increased competition for funding, New Bethany Ministries relies on the generosity of its community members to maintain its essential services. Your donation, in any amount, is a powerful investment in the well being of your neighbors in need. For an even greater impact, consider supporting New Bethany Ministries on a monthly basis. Monetary donations can be mailed to 333 west 4th street Bethlehem, PA or give online at newbethanyministries.org/ways-to-help/donate. Over 800 volunteers annually spend more than 11,000 hours serving with New Bethany. With only 13 full-time and 5 part-time staff members, they simply could not impact almost 7,000 people a year without the support of volunteers. If you or your group are interested in serving with New Bethany, visit newbethanyministries.org/ways-to-help/volunteer or call Lili Kelhart at 610.691.5602 x201. “Volunteering at New Bethany not only gives you a chance to change yourself, but to positively impact those around you.” Roy Gruver- Volunteer and Member of New Bethany Ministries’ Board of Directors. LUAG refers to itself as a “museum-without-walls”, extending throughout three campuses in the form of galleries, classrooms, sculpture gardens, and open storage for its teaching collection. To inspire, develop, and promote visual literacy and cultural understanding through cross-disciplinary educational opportunities that supplement formal classroom study, as an educational laboratory to benefit students, faculty, and the community-at-large as part of the university learning experience. LUAG strives to further Lehigh University’s educational and cultural mission to advance learning through the integration of teaching, research, and service to others. LUAG serves the Lehigh University community and the community-at-large. Everyone is welcome! To donate, contact Susan Vengrove, Lehigh’s Director of Development for the Arts, at 610.758.6624. Email luag@lehigh.edu or call Patricia McAndrew at 610-758-6881. Founded in 1981, Touchstone has received numerous awards for the quality and transformative power of its unique and playful approach to theatre – be it in its home theatre with original productions, like the annual Christmas City Follies; out “on the streets” with large-scale community-based works; or in the classroom with award-winning arts-in-education programming. Touchstone has developed a distinctive and delightful repertoire of work that resonates with the local community of the Lehigh Valley and beyond. To create, produce, and present original theatre; tour original and ensemble created work; provide educational programs to local children and youth; and demonstrate the power of theatre as a community-building tool. Thursday’s pay-what-you-will option helps ensure access to the theatre. In the classroom, elementary through high school aged young people experience theatre through their arts education programs onsite in area schools and at the theatre over the summer. In the community, Touchstone produces large-scale, community-based works that reflect the local heritage by utilizing community member’s stories or experiences; these are often outdoors and free for the public to attend. 8,000 people are served annually through Touchstone’s programs, which contribute to the cultural, economic, social, and educational landscape of the Lehigh Valley and surrounding region. Touchstone relies on the generosity of individuals, businesses, and foundations to underwrite the difference between ticket revenues and project costs. Donations can be mailed to Touchstone or made online at: touchstone.org/donate. Volunteers are vital to helping Touchstone continue to make exciting theatre! From fundraisers to ushers, gardeners to board members, artists to office workers — we have a volunteer job for you. Interested? Contact Lisa Jordan at lisa@touchstone.org or visit touchstone.org/volunteer-internships. Godfrey Daniels is a premier live music listening room that has provided top quality entertainment since 1976, and is known as one of the finest folk music venues in the country. To create and nurture the appreciation of traditional and contemporary folk music and performing arts by providing an intimate environment where professional artists, amateur performers, and audience members will be enriched by the unique experience of live performance. Presenting over 100 concert events annually, combined with weekly community jams and Open Mike Sundays, Godfrey’s provides performance space for approximately 200 nationally touring, as well as regional artists annually. Over 6000 audience members come through their doors each year to see and hear their favorite artists. This includes partnering with SouthSide Film Festival and Lehigh Valley Storytelling Guild for children’s programming, and the Lehigh Valley Charter Arts High School for the Performing Arts for “Charter Arts Thursdays” student performances on our stage. To give, visit GodfreyDaniels.org and click “Donate”. Join the team of more than 50 volunteers that help make it all happen by visiting GodfreyDaniels.org/Volunteer. PBS39 is a community-owned public television station serving eastern Pennsylvania and western New Jersey, with a vision to help create a community that is inspired, engaged and vibrant. PBS39 serves all ten counties that make up the Greater Lehigh Valley. Over the past 50 years, their focus has been on education, ideas, learning, arts and culture, citizenship, and providing the information that creates quality of life, using the latest technology to deliver these resources. Through their various programs, both on-air and in the community, PBS39 helps improve the lives of millions of people throughout our viewing area and beyond. They impact children through a variety of educational initiatives involving over 130 schools, and have helped over 200 local businesses gain recognition through our programming. Plus, they’ve worked with partners to impact the lives of countless people over multiple generations. Sign up to volunteer by filling out the “Contact Us” form at PBS39.org/contact-us or by calling 610-867-4677.